Offers only valid within the 48 contiguous states of the continental U.S. Offers not available with any other offer and is subject to availability and may change at any time. Offers are valid once to a customer and excludes previously placed orders. Shipping discount applies to standard shipping option only. Offers are not valid at retail stores or outlets. We regret we can not ship to P.O. Box or international destinations. Offers valid for a limited time only. Better Technology delivers Faster Results. 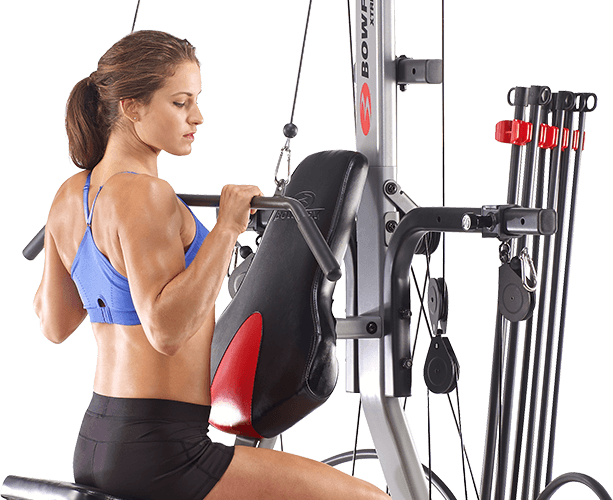 What Makes Bowflex Resistance Different? 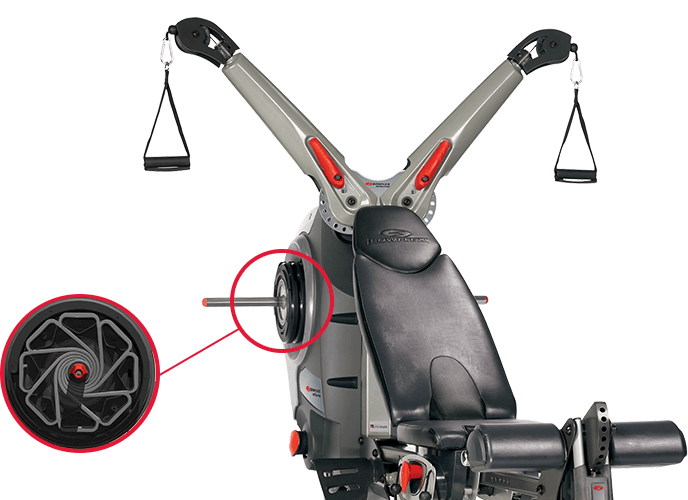 Unlike traditional machines, all Bowflex® home gyms utilize advanced resistance technology that doesn't rely on gravity. As a result, Power Rod® and SpiraFlex® gyms eliminate inertia, making it impossible to 'cheat' your way through an exercise while reducing strain on the joints and tendons. For efficiency, safety and results, no free weight system or weight stack machine even comes close. The progressive resistance of Power Rod technology serves two important purposes. First, it creates less resistance at the start of every exercise (where you're weakest) to reduce strain on your joints. Second, it gradually increases the resistance throughout each exercise to push you to your absolute limit and maximize results. It's one of the smartest and safest strength training solutions ever created. Combined with our versatile cable pulley design, Power Rod technology delivers unlimited exercise variation and customization. Originally designed for use in zero gravity, our SpiraFlex® plates offer linear resistance that closely recreates the feel of a weight stack in a gym. 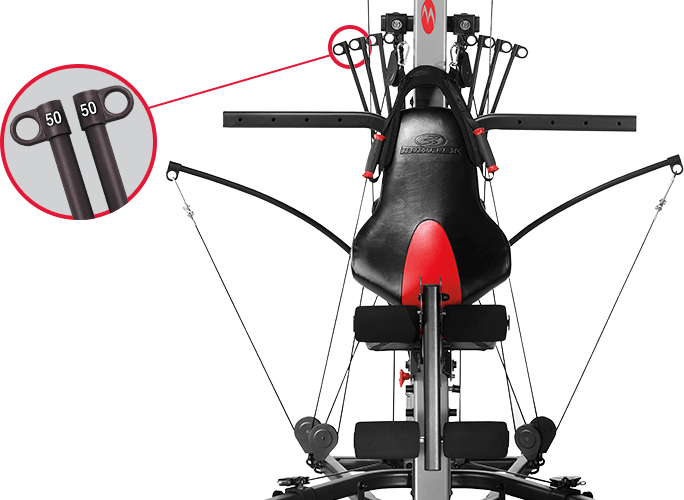 Combined with the Revolution Home Gym's Freedom Arms, it's optimal for both traditional and functional training exercises, delivering an exceptional full body workout. 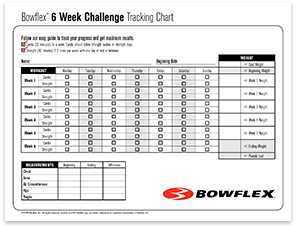 The 6-Week Challenge Chart helps you stay on track, day by day, week by week so you can achieve your fitness goals. 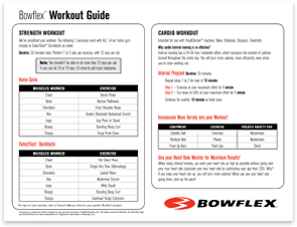 The Bowflex® Workout Guide gives you a simple strength and cardio workouts to follow. Use with equipment and any Bowflex® home gym!